I'm not much of a gardener. At all. I say that so you don't get any idea that I'm one of those people who make things grow in the dirt and that this will be one more blog post about the joys of gardening. Gardeners are superior beings. But I am not one of them. Six months before my daughter was to be married I was invited to put my house on the Virginia Garden Week house tour, held state-wide each April. This is a pretty big deal here and I didn't hesitate one New York minute to say yes. The wedding was at the end of May. Having my house on display in April would force me to get it ready a whole month in advance. But, as I hung up on the Garden Club lady, I realized that I did not, in fact, have a garden. A beautiful, green, undulating meadow descending to the Maury River, yes, but nothing anybody would call a garden. I picked the landline phone right back up and called Faith, a landscape designer and fellow former librarian. Help, I said. I need a garden by next spring. No problem, she said, and came up with a charming design of two beds, planted with various hardy perennials that the deer and bunny rabbits cohabiting the property usually won't eat. 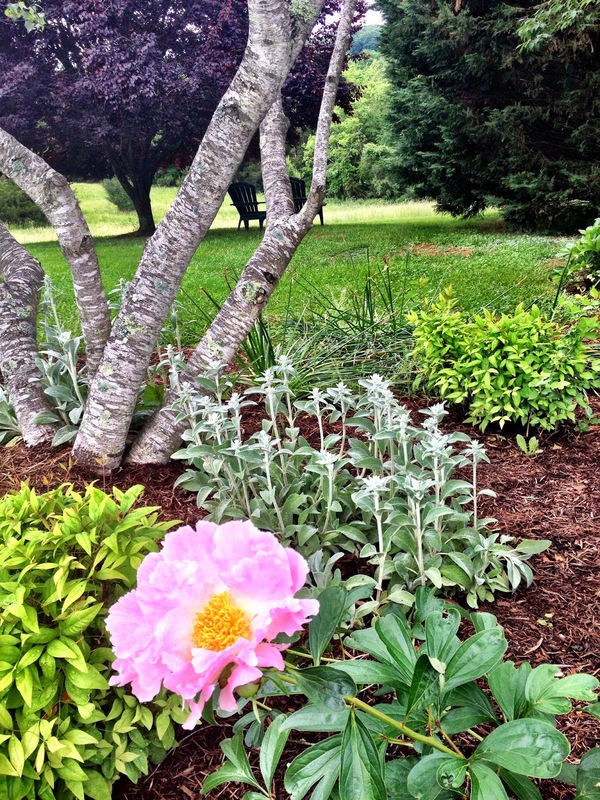 The only thing I insisted on was that my garden have peonies (often pronounced Pee-OWN-ees in these parts). Six years later, the six plants are thriving. They range in color from the exquisite white (below) to various shades of dark to pale pink (further below). I love them so much that last year, at their peak of gorgeous blooming, as I was heading out to the airport to fly to California for a speech, I stopped to take a picture of them on my iPhone and drove off, leaving my suitcase in the driveway. 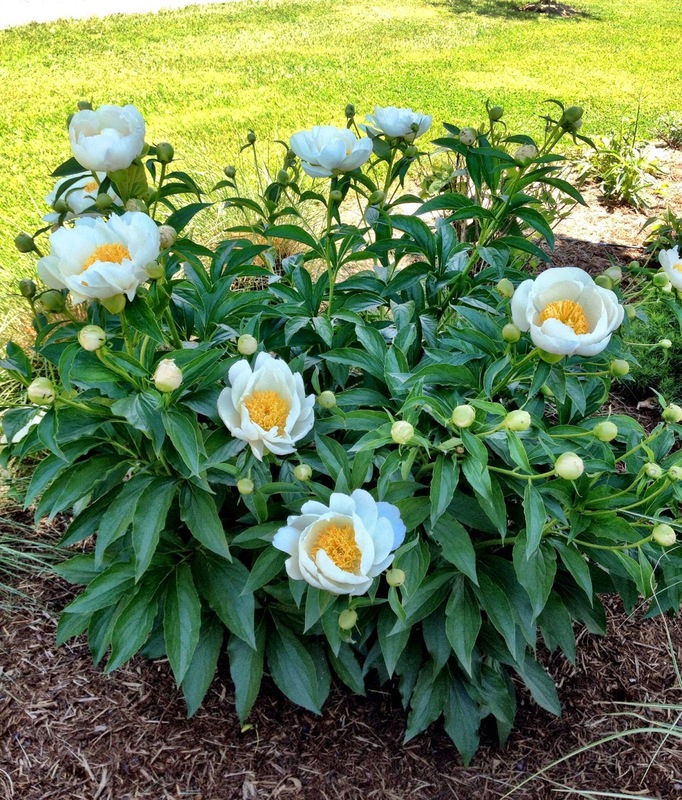 Peonies are the classic flower of Chinese art. That's probably because they are perfect. Roses are lovely, too, and I have grown roses in another life, but peonies have a voluptuousness all their own. Best of all, they just grow themselves. They don't need to be sprayed or fussed over. They're happy to bloom, live and die. I must have loved peonies even before I knew what they were. 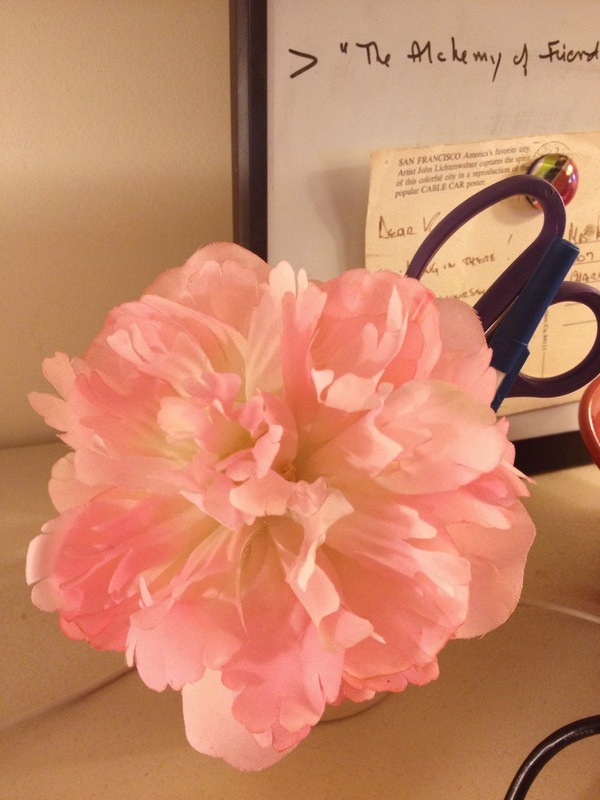 Below is a silk peony, attached to a pen, that has sat on my desk, no matter where I was at the time, for years. I bought it at the gift shop in the big 42nd Street library in New York, the one with the two lions out in front, guarding it. 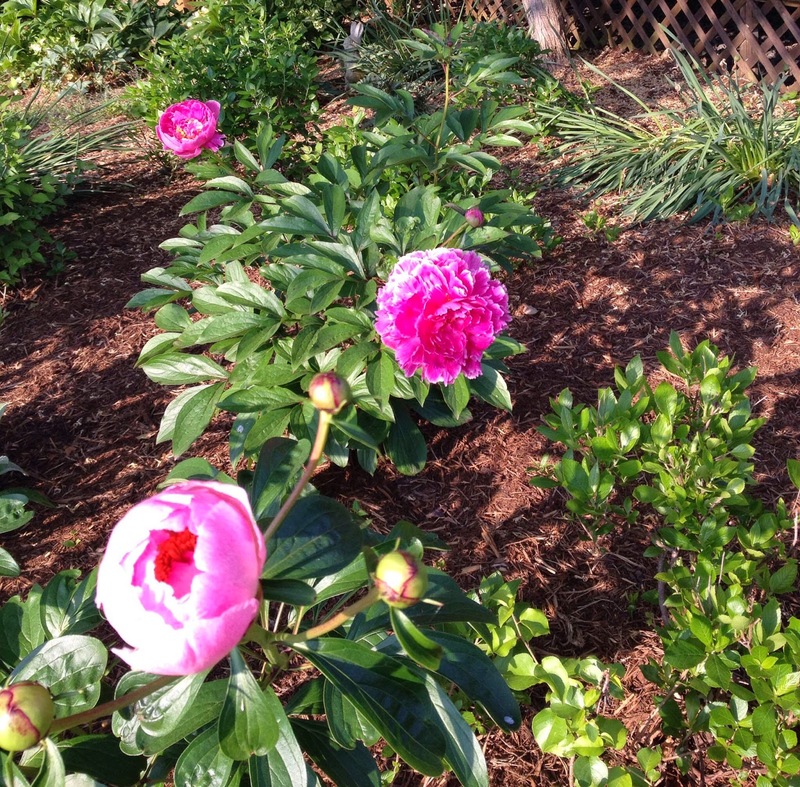 Something about this phony peony's happy pinkness calms and inspires me. Instant Gratification: "Flowering and beautiful"